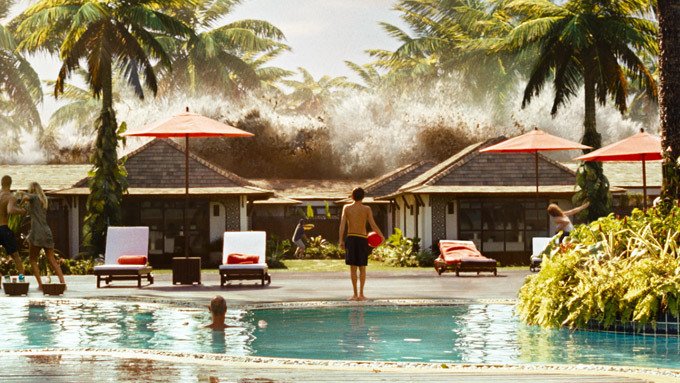 Movie Review: The Impossible- A Fairly Predictable and Formulaic Disaster Drama That Focuses on its Riveting but Fleeting Tsunami Sequence | Generation Film! Whenever there is a tragedy that affects a great deal of people such as the 2004 Indian Ocean Tsunami we always get the massive casualty numbers but are rarely given personal stories or relatable faces of the people directly affected. Most of the stories involved would probably be heartbreaking but sometimes there is a story of hope and that’s the kind of story that Hollywood knows how to latch onto and exploit. 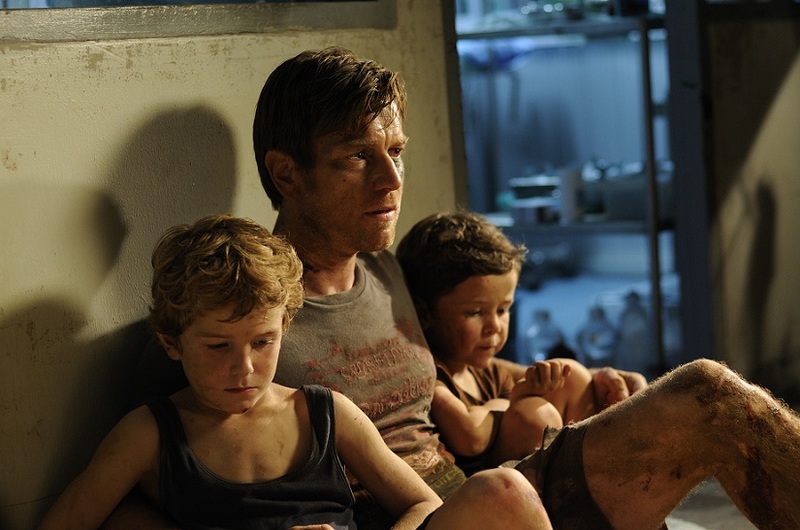 Unfortunately in the disaster film The Impossible a story of struggle and reunion in the face of devastation is given a fairly typical and expected dramatic treatment that could have otherwise been extremely moving. The acting is beyond commendable from most of the cast but it is the script’s conventionality and misguided focus on making the characters a bit too unexceptional that inevitably weighs it down. Obviously the goal of average characters is to make the experience relatable and while that could have been a particular strength in the film the running time is a bit too short and the events too extraordinary for it to connect on a cinematically emotional level. Director J.A. Bayona (The Orphanage) should be commended not only for his work with the actors but also for coordinating the unpredictable and horrifying experience of the powerful earthquake waves. However, despite the intensity and realism of that sequence, which is beyond superb, the drama that follows in The Impossible just comes off as too scripted and too familiar to be considered anything more than a professionally made and mostly lighthearted television drama. Screenwriter Sergio G. Sanchez did indeed base his screenplay on the direct accounts of the survivors this particular story focuses on, which makes it even more surprising how the film itself feels a bit strained for dramatic material. The story follows a family consisting of father and mother Henry (Ewan McGregor) and Maria (Naomi Watts) respectively and their three sons. When the earthquake waves hit their luxury hotel they are separated into two groups, the first being Maria and the oldest son Thomas (extraordinary newcomer Tom Holland) and the second is Henry accompanied by their other two sons. It isn’t that The Impossible is a bad movie because it does a fine job balancing the two separate stories of survival and hope quite well. The Impossible just simply isn’t a remarkable film and doesn’t stand out from inspirational stories that have come before it. This means that outside of the spectacular and unnerving tidal wave sequence the dramatic elements tend to either lift your heart with sweeping emotional moments or dull you with standard formula. A rollercoaster story of reunion after violent separation does have a predictable end so even though the ending is slightly obvious the journey is relatively sympathetic. But one thing you will remember from this movie is experiencing the incredibly designed and horrifyingly unpredictable subjective experience of the immensely powerful waves. The re-creation of the Tsunami was done with a combination of models, special effects, and a giant water tank and all of these elements come together for a riveting but equally disturbing cinematic experience. Building up to the moment of chaos was done rather well as director J.A. Bayona along with his cinematographer Oscar Faura capture the tranquility of the Thailand resort right before the thundering arrival of a giant tidal wave that is as surprising to us in its immensity and quickness as it is for the characters. Once it reaches Maria (Naomi Watts) we are then transported to what could be mere seconds or several minutes later as she emerges from underwater to see herself being rapidly carried away by rushing water. She only sees her oldest son Thomas being taken away by the waters and the sequences centers around her trying to catch up so she can be with her son. This sequence is so captivating because we are placed right in it as the camera stays close on the actors even to the point of submerging under the murky and unknown waters, sometimes getting a close up of severe bodily damage as items in the water come out of nowhere. The tension is so palpable that even before the second wave begins to come toward the characters you momentarily forget the Hollywood conventions and fret for their lives. It is a sequence that captures the fear, the unpredictability, and the destruction that many people experienced during this tragic disaster and it really gives you an understanding of just how horrifying it all was. But a mere brilliant sequence can’t be the linchpin to an entire movie so it remains a remarkable sequence in an overall predictable film, which is to say it has more redeemable qualities than most films that are released these days. Another strong point in The Impossible is the credibility of the cast to keep your focus and your emotional sympathies throughout the film despite the initial formula of the script. Both Naomi Watts and Ewan McGregor shine more once they have to face the turmoil during the Tsunami and after it, but of course Naomi has the far more difficult task. Not only is she captivating in her fear throughout the chaos of the tidal waves but she also takes a 180 degree turn as a mother extremely hurt trying to give her son courage as she is losing her own. McGregor doesn’t get as much screen time but gives the difficult decisions he faces a great amount of heart and doubt, such as leaving his other two sons with strangers in order to find his wife. There is one scene in particular, or what they could call “the scene,” where he calls home in bus shelter using a kind stranger’s dying cell phone and it is definitely a shining moment for the drama in the movie. But the real acting recognition should go to young actor and newcomer Tom Holland who is completely convincing as a young boy forced to confront extremely dire and frightening situations that no one would want to encounter, including the subtlety of his complete horror as to the damaged state of his own mother. If only the script wasn’t so forced or formulaic in the opening introduction or predictable in its conclusions, because that would be a film worth visiting with these fine actors who are deserving of a more noteworthy film. What has been said throughout this review might be a little harsh and slightly unfair because really The Impossible is a fine drama that has its moments despite the expectedness of the script. The Tsunami sequence alone will haunt you in its violent realism and will remind you that nature is an unforgiving and apathetic part of this earth. With believable performances, a riveting core sequence, and high points of successful drama, The Impossible is a movie worth visiting even if it has that obvious loudness for Oscar attention. It certainly won’t get much Academy Award recognition and that is probably a good thing because it doesn’t grab you or stay with you the way an Oscar nominated film should (not saying that they all do but simply stating that they should). Unfortunately J.A. Bayona attached himself to a script that was intended to focus on hopefulness when it instead should have focused on the hardships of devastation. By choosing a family that is obviously much luckier than most that experienced this tragedy it places the film in a crutch that it never truly recovers from in the end. The Impossible is a rather unremarkable drama that has good acting, moments of heart, and one memorable sequence, which means it’s slightly above average in Hollywood quality.